At one point, she asked her mom why she hadn’t been born a boy — after all, it seemed like for everything she wanted to do, her mother told her it was impossible as a girl. That was true of living at the monastery, too. “I think this was sometime in the ‘80s,” Venerable Gyalten Samten said of that first monastery visit with her family. Back then, as a 10-year-old, her name was Barkha Mandan. “It was very pristine and gorgeous, and I remember telling my mom, ‘I want to live here.’ Then she said to me, ‘Look around you. Only monks can live here.’ So I said, ‘Then make me a monk,’” she recalled. Of course, only men could be monks, her mother told her matter-of-factly. 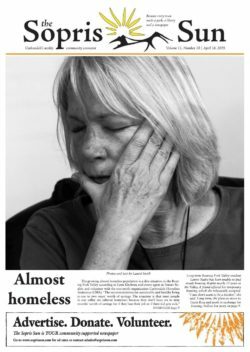 “That broke my heart,” Samten said, but it was just the beginning of her journey. 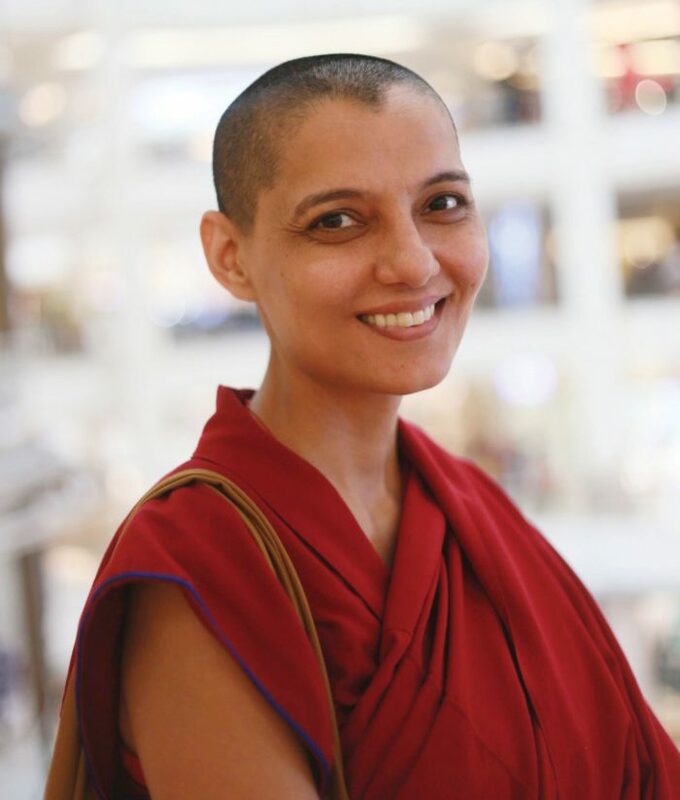 Now an ordained Buddhist nun, her earthly belongings essentially include two robes, a pair of sandals, a laptop and a cell phone. But that wasn’t always the case — in fact, as a 1994 Miss India finalist and Bollywood actress with several leading movie roles and credits in more than 20 television shows, her external appearance used to have much, much more control of her day-to-day life. “A small zit breaking out would completely flip me,” she said with a laugh. “Everything I did earlier, unintentionally, was revolving around me.” Then, in 2001, she met the Dalai Lama, and the experience changed her perspective entirely: that’s when she was introduced to Buddhist dharma. And practice she did. She continued to study Buddhist texts, took courses and cultivated her own dharma practice. While doing that, she also grew her film career, adding “producer” to her resume. Surkhaab — the Indo-Canadian film that Samten both produced and starred in — follows Jeet, a judo gold medalist forced to emigrate to Canada in order to be with her brother. “Circumstances force her to take not such kosher ways of getting in,” Samten said of her film’s plot, alluding to its look into both immigration and human trafficking issues. The movie won Best Producer of a Feature Film at the Madrid International Film Festival and Best Feature Film at Worldfest Houston in 2012 — the same year Mandan renounced her identity to become an ordained nun. “It was my first film, and it is happy to be my last,” Samten said of her film production days, noting that she did all the promotion work for the movie in her robes and shaved head in order to fulfill her final commitments to the project. Now, years later, she’s able to marry her former artistic passions with her current spiritual ones. On Thursday, May 3, the Crystal Theatre is screening Surkhaab. All proceeds benefit Way of Compassion’s inaugural Compassion Fest, to be held in Carbondale Aug. 17-19. Samten met Way of Compassion Founder John Bruna last year via an emailed introduction facilitated by a mutual teacher. Now, Samten teaches virtually on Wednesday evenings at the Dharma Center, and she’s visiting in a month-long residency to further her connections with her students. She’s every bit as excited to be here as Bruna is to host her.